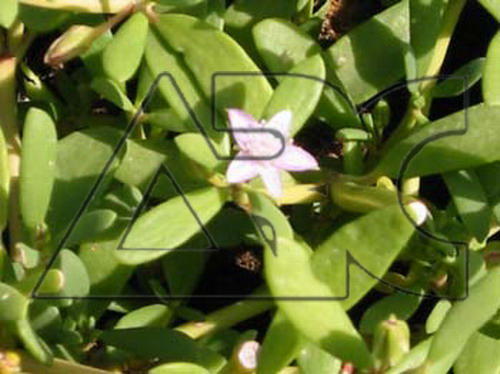 Better known as 'SEA PURSLANE' this is a native, herbaceous perennial, it grows on the ocean side of the dunes down to the high tide mark. The thick, fleshy leaves are borne on succulent, reddish-green stems that branch regularly forming dense stands close to the ground. Small, showy pink flowers are borne more of less continually throughout the year. Each flower opens for only a few hours in between stems and leaves.